The best thing about this hotel wrap is that our room looks just like this picture! Only joking – our place looks like a soggy cardboard box compared to these beauties. AccorHotels is celebrating six prestigious award wins following last Friday night’s 2018 NSW Tourism Awards presentation, held at Luna Park (22 November 2018). The hotel group was triumphant in the categories of Luxury Accommodation, Deluxe Accommodation, Unique Accommodation and Business Event Venues. Iconic Blue Mountains hotel, The Fairmont Resort Blue Mountains, also a member of the MGallery by Sofitel Collection is on cloud nine after scooping GOLD in the Deluxe Accommodation category and SILVER in the Business Event Venues – a double win for AccorHotels in this hotly contested category. These awards are a testament to the successful relationship between the hotel team and its owner Dr Jerry Schwartz, and his continued investment in the property as it celebrates its 30th anniversary and new Ubika Day Spa. 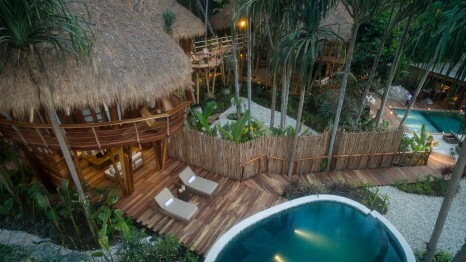 Indonesia’s luxury wilderness resort, Nihi Sumba – which has been voted the best hotel in the world in all categories by Travel & Leisure readers for the past two years consecutively – is the latest addition to World Resorts of Distinction’s (WRD) stable of world-leading resort brands. Located 400 kilometres east of Bali on Indonesia’s most unexplored island, Sumba, the resort is easy for Antipodean travellers to access. Nihi Sumba was originally developed as a surf resort to provide guests with access to the region’s most sought-after waves. 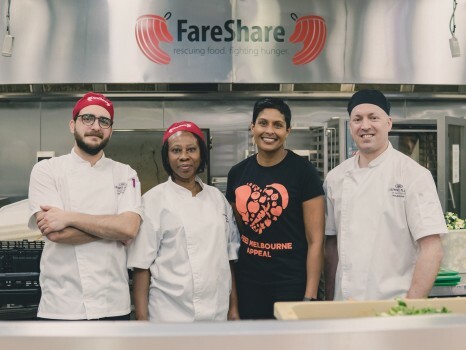 Fareshare works in conjunction with The Feed Melbourne Appeal, and takes surplus food that would otherwise go to waste and uses it to cook more than one million free, nutritious meals a year in one of Australia’s largest charity kitchen. Nearly 105,000 Victorians are provided food assistance each month, while thousands more are unable to be assisted. This is the Feed Melbourne Appeal’s 10th year in operation and the organisation has a target of generating enough funds for two million meals. AccorHotels Pacific announce a major multi-million dollar refurbishment project is scheduled to commence in late November at Sofitel Fiji Resort and Spa, Denarau Island Fiji, including expansion plans for the resort’s exclusive adults-only, Waitui Beach Club. 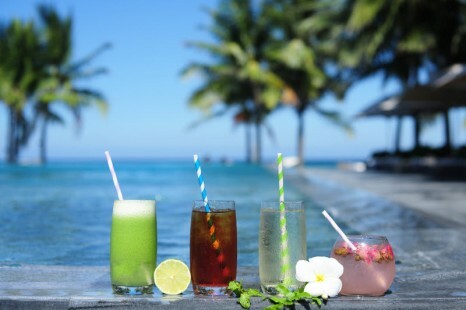 To enhance the overall guest experience, the rejuvenation project centres around increasing the footprint of the resort’s popular Waitui Beach Club, with the addition of 24 new beach cabanas, a welcoming arrivals area, a new beachside cocktail bar to capture Fiji’s famous sunsets, and an undercover dining space for up to 40 guests. Waitui Beach Club’s guestrooms and suites will also undergo an entire refresh as well as its restaurant space. In addition, a new offering for children will see the development of an “Adolescent Zone” and a Waitui Beach Club for Kids. 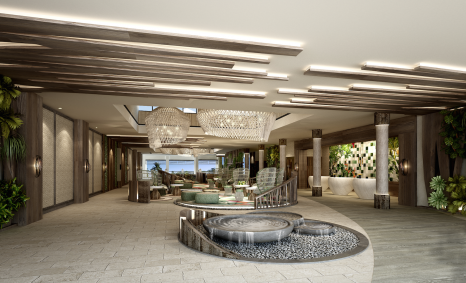 Sofitel Fiji Resort and Spa will also embark on an upgrade of its Luxury guestrooms between April and June next year, whilst upgrades to Superior and Family guestrooms will follow in the second half of the year. The multi-million rejuvenation of the resort includes the upgrade of all five restaurants and four bar outlets with new and exciting concepts, soon to be announced. Sofitel Fiji Resort and Spa’s main restaurant Lagoon will undergo a revamp to a fully interactive experience for both breakfast and dinner. The ‘Kadju’ villa has been designed to take in the sweeping views of the on-site tea estate and lush jungle on which the property sits. 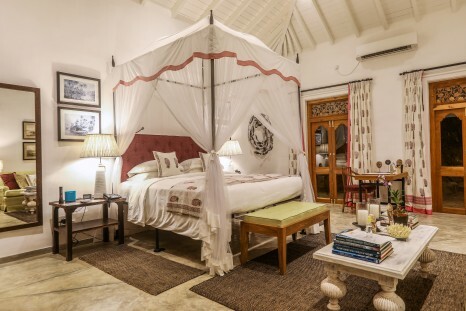 Featuring French Windows, intricate Indian prints and a dramatic metal four-poster bed with a canopied top, its unique design consists of a shaded entry pathway and lobby with banquette seating. Boasting classical, tropical interiors and an infinity-edge pool, Kadju has been defined as the perfect opportunity for travellers to experience the best of tropical luxury living. AccorHotels invite guests to immerse in Sydney’s vibrant arts and culture scene during the Sydney International Art Series exhibition Masters of modern art from the Hermitage, exclusive to the Art Gallery of NSW until March 3, 2019. AccorHotels is offering exclusive cultural packages at Sofitel Sydney Wentworth, Novotel Sydney on Darling Harbour, Mercure Sydney and ibis Sydney World Square starting from $200 per night, including buffet breakfast and tickets for two to Masters of modern art from the Hermitage at the Art Gallery of NSW. 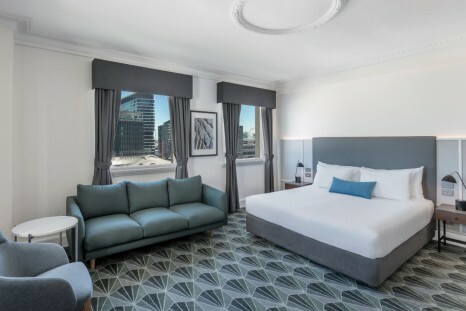 The grand hotel at the corner of Spencer and Little Collins Street has been reborn this week as The Savoy Hotel on Little Collins, Melbourne, following a multi-million-dollar refurbishment of the former Vibe Savoy Hotel Melbourne which TOGA has managed since 2004. The hotel now falls under the TFE Hotels Collection brand – a portfolio of beautiful discovery hotels with a sense of story, place and purpose. Previously known as the Vibe Savoy Hotel Melbourne, the iconic hotel has been relaunched as The Savoy Hotel on Little Collins with a stunning new design by Woods Bagot. 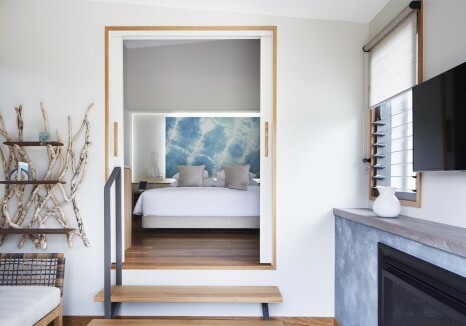 The new design has a modern and inviting appeal that pays tribute to the Art Deco era of the original Hotel Alexander built on the site in 1928. The sophisticated address is in the heart of cosmopolitan Melbourne, with the city’s best boutiques, cool laneways and bars on its doorstep. The sophisticated lobby creates an inviting sense of arrival with its warm timber, smoked mirror and brass elements complemented by luxurious soft furnishings with colourful custom rugs. The Alexander Bar is now the elegant ground floor attraction, a cosy yet stylish space providing the perfect place to catch up with friends, meet a business contact or simply sit back and relax. Throughout the day, the bar is open for drinks and in-house dining. While it’s likely you’ve already read this news somewhere else, Travel Weekly can guarantee its version is (mostly) free of spelling and grammatical errors. 2019 is off to a great start: not only did we find three dollars under our desk, but Raffles is opening a stunner of a resort in the Maldives. And you’d better believe we have pictures. Looking to check out of the office for the year and check in to a hotel somewhere? Find all the answers in this fab hotel wrap!